This Week in Richmond: Aubrey L. Layne, Jr. Secretary of Finance. On this episode of This Week in Richmond host David Bailey is joined by Aubrey L. Layne, Jr. Secretary of Finance. Read more about This Week in Richmond: Aubrey L. Layne, Jr. Secretary of Finance. On this episode of Harrison Seaborn James Madison University, Communications Graduate and Megan Healy Governors Chief Workforce Development Officer. Read more about This Week in Richmond: Harrison Seaborn, Megan Healy. This Week in Richmond: Daniel Carey and Brian Moran. 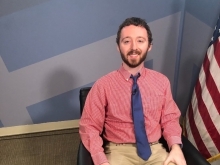 On this episode of This Week in Richmond host David Bailey is joined by Daniel Carey Secretary of Health and Human Resources and Brian Moran Secretary of Public Safety and Homeland Security. Read more about This Week in Richmond: Daniel Carey and Brian Moran. Read more about This Week in Richmond: Capitol Hill Interns. 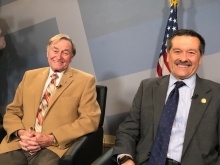 On this episode of This Week in Richmond host David Bailey is joined by is joined by Delegate Riley Ingram District 62 and Delegate Terry Kilgore District 1.